Contact a vw camper van owner based in Bedfordshire by choosing a van from those listed on the page below. Hire locations include the Bedford and Luton but rental locations also exist in Dunstable, Leighton Buzzard and Biggleswade. Select a van below, message the camper owner about your holiday and wait a short time for their response! I am Butch, hire me today! Silver, Automatic, Tailgate. Newly converted 2019. 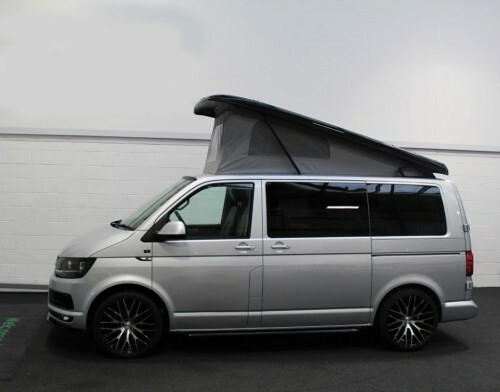 Immaculate, luxury campervan. Ernie is a Left Hand Drive1978 Westfalia with original 70’s interior. He sleeps 4 and has a working gas hob / stereo / swivelling passenger seat and plenty of storage. Recently been to Geneva and San Sebastian with no drama..! Available for hire within easy reach of such delights as The Cotswolds, The New Forest, the beaches of the South Coast, the Purbeck Coast, Salisbury, Norfolk, Suffolk and so much more. Awesome modern white campervan ready to hire now for weekly, weekends, mid week & festival hire. Full camper interior, ample storage space, cooking facilities, 2-4 berth (2 extra berths with awning & camp beds) Contact us for a quote & check availability.